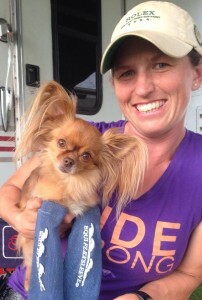 Leanna Billie from Okeechobee, Florida is a big Equiflexsleeve fan and a big time rodeo star. 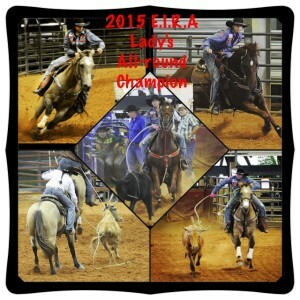 She’s spent this year campaigning on three horses that she’s trained herself in Team Roping and Barrel Racing, and all three of her horses helped her win this year’s Women’s Year-End All Around Champion. We wanted to feature Leanna’s success in our first guest blog as our featured fan. Leanna’s 10 year old quarter horse, Matt Dillon, has been in her barn since he was 4 years old. She trained him in barrel racing, team roping, hazing, and breakaway roping. They’re regulars at Indian Rodeo and PRCA rodeo. This past weekend they competed in Team Roping and Barrel racing at their regional finals, placing well in both events. 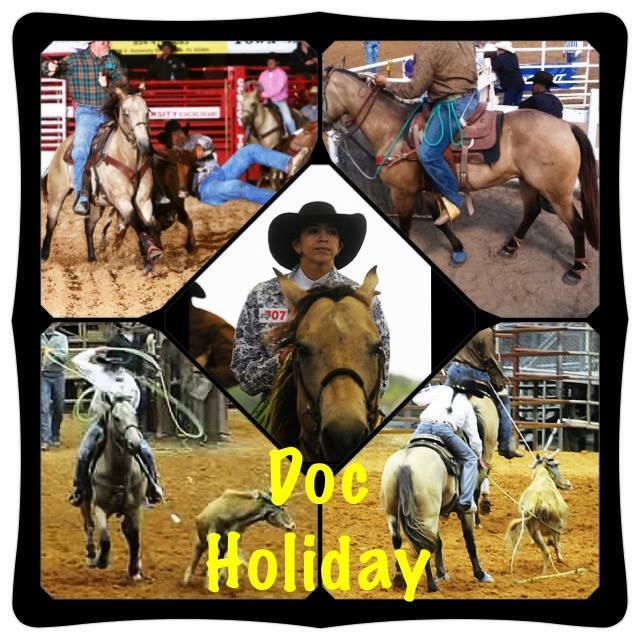 Doc Holiday, a grade gelding, is her back up head horse, main heel horse, and also a fine breakaway horse. This year, the pair placed 2nd in heeling and 3rd on heading. He’s also a hazing horse – talk about an all-around roper! 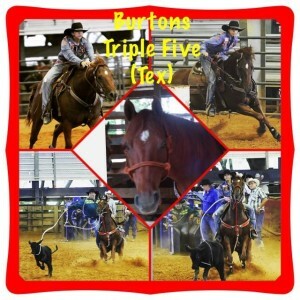 Burtons Triple Five, or Tex, is Leanna’s main calf roping and breakway horse, as well as her husband’s main PRCA tie-down horse. Leanna and her husband have had Tex since he was 5 years old, and trained him in barrels and team roping as a heeler. At their regional finals this past weekend he won both the calf roping and the breakaway roping. 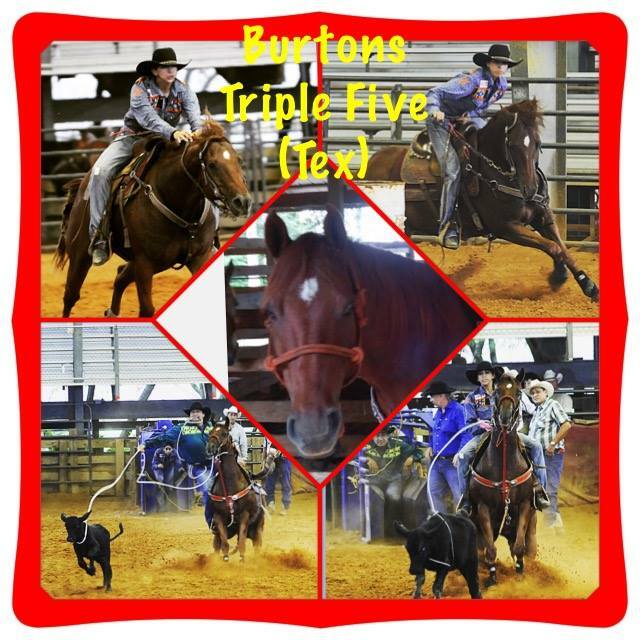 Burtons Triple Five has qualified for the Indian Rodeo National Finals, in Las Vegas – congrats and we’ll be sure to keep an eye out for Leanna and Tex at Nationals! All of her horses have one thing in common – they all love their Equiflexsleeves. Each horse has their own pair – but Tex has really benefitted from Leanna’s decision to move away from bulky standing wraps. All three of Leanna Billie’s boys in their Equiflexsleeves! You can follow Leanna’s progress on her facebook page. Best of luck at Indian Finals! 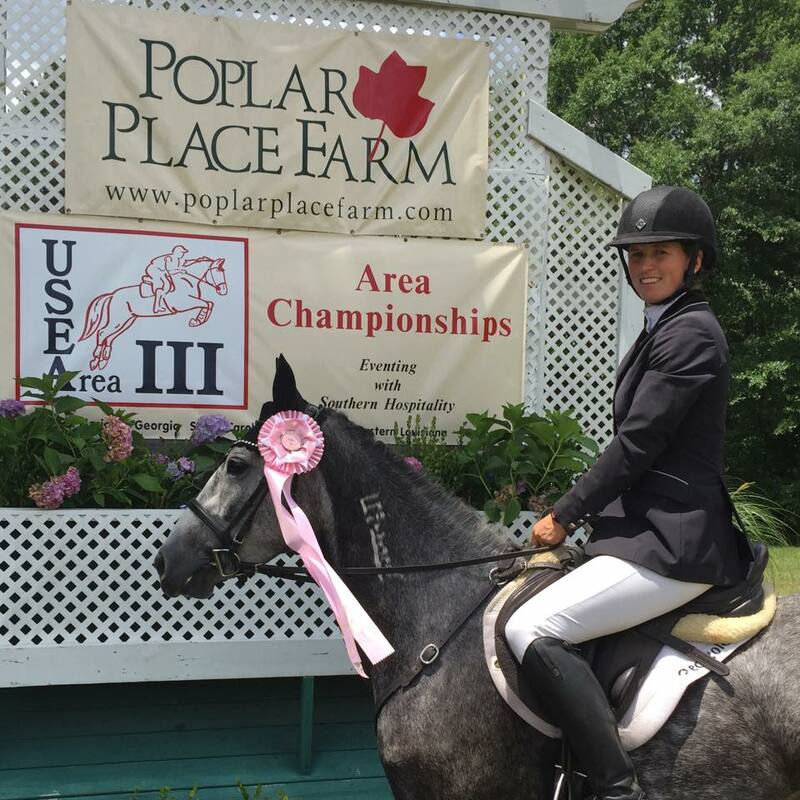 Equiflexsleeve sponsored rider Elisa Wallace has been putting up great performances all summer, at Poplar Place, Great Meadows, Chattahoochee Hills, Millbrook and Richland Park! One of Elisa’s magnificent mustangs, Hwin, took fifth place in the Novice Horse division at the Area 3 Championships at Poplar Place. 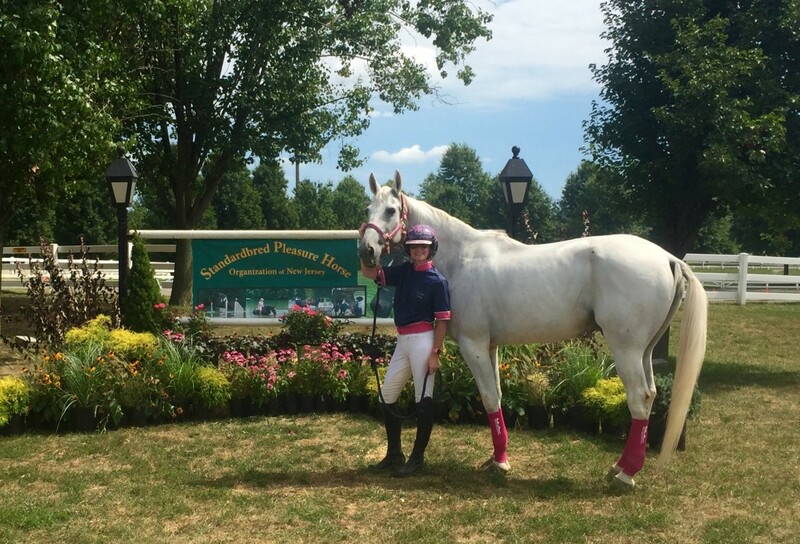 More recently, after putting in a personal best dressage score (45.4) with Simply Priceless at Richland Park, the pair finished 7th in the CIC*** division – what an accomplishment! Elisa’s newest addition to her performance horse string is Borneo Shady, who rocked the Richland preliminary course to finish second on a stunning dressage score of 27.5. Of course, Elisa and her team are handling their long summer campaign like champions, and finding ways to have fun in between rides. 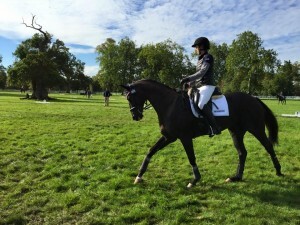 The biggest news out of the Wallace Eventing camp came last weekend, when Elisa and Simply Priceless traveled overseas to compete at Bleinheim in the UK in the CCI*** division. We eagerly waited for news from the Wallace Eventing Facebook page and checked scores all weekend. Elisa and Simply Priceless put in a very good dressage test to earn a score of 50.1 – good enough to put them in 30th place (out of a huge field of 111 competitors) to start their weekend. You can watch Johnny’s dressage test on the Wallace Eventing YouTube channel. The most fun part of any event, as well all know, is the cross country course and Bleinheim is no exception. With tricky questions, massive fences, and the final jump being made of rubbish, the course at Bleinheim is one of the most challenging ones in Europe. Still, Elisa Wallace and Simply Priceless jumped clear over the course in great style. You can watch the helmet cam video and course video online, so if you missed it, be sure to watch their lovely ride. The following day, Elisa and Johnny put in a great show jumping round with only one rail and no time on a very difficult course. Out of 111 original entrants, Elisa and Simply Priceless finished in 29th place. Way to go! We are so proud to support Elisa (and her horses’ legs) as she solidifies herself as one of the top American eventers! We can’t wait to see what the future holds for Wallace Eventing and Elisa’s string of horses. This past weekend at the Horse Park of New Jersey, the National Standardbred Horse Show took place to showcase the versatility of the breed. With horses ranging from under saddle pleasure horses, English show horses, Western horses, and of course driving classes, it had something for everyone. There were even divisions for “War Horses” for Standardbreds with over 100 starts or $200,000 in career earnings, as well as “Fresh Off the Track” for horses who have raced this calendar year. 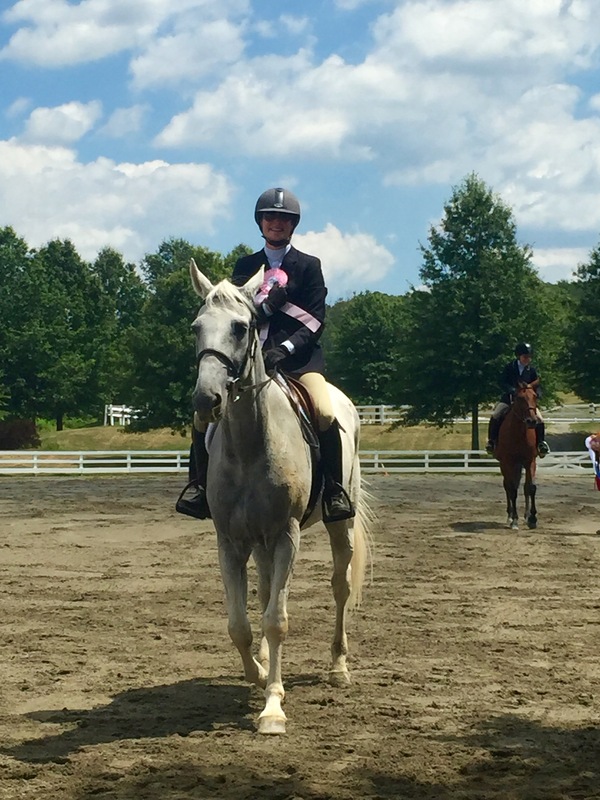 We had the opportunity to follow Equiflexsleeve sponsored rider Dr. Jennifer Lowrey and her Standardbred, Striking Mystery, as they showed in classes under saddle as well as in the games division. Striking Mystery, known as Frosty around the barn, is a striking grey Standardbred that stands out from the crowd of common bays and blacks. At over 16 hands tall and 14 years old, he’s got a resume to rival his owners. Striking Mystery stands out from the crowd of bays and blacks. Dr. Jennifer Lowrey is, as you may have guessed from the “Dr.” in front of her name, an equine veterinarian, but it doesn’t stop there. 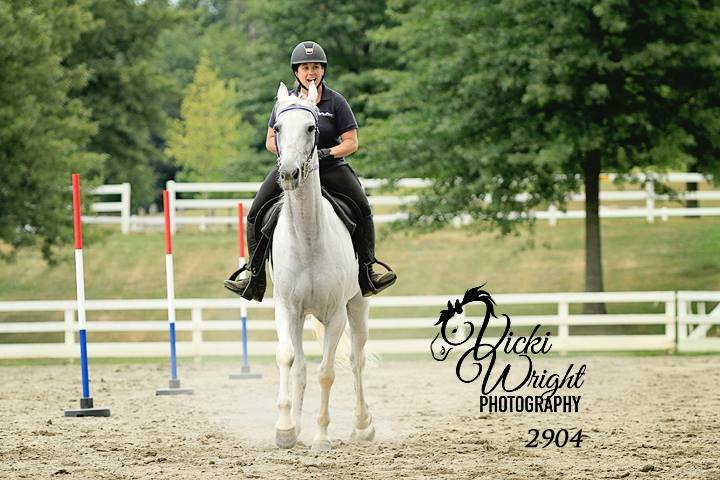 She’s also an avid show competitor with several of her horses, included OTTBs, a warmblood, and stock horses in addition to her Standardbreds. On top of that, she is also an active licensed owner/driver/trainer with the United States Trotting Association and one of the few licensed active RUS riders in the US (where riders race Standardbreds at their race trot gait while riding them rather than driving in the race sulky). Knowing that Frosty had raced the Tuesday right before the show, we were excited to catch up with her to hear about her horse, the show, and her opinion of Equiflexsleeves. They took 5th in one of their English riding classes – impressive considering Frosty raced just days before showing! After the show, Frosty got to enjoy a bath, a roll in his freshly bedded stall, and then the comfort of his Equiflexsleeves. He had the following day off while Jenn’s other horse showed, and then had the sleeves on to keep him from stocking up during the day in the stall after a long day showing the day prior, and they remained on for the trek home. When asked how she liked the sleeves Dr. Lowrey said, “Equiflexsleeves did a beautiful job preventing Frosty from stocking up following the National Standardbred Horse Show and during our three hour ship home.” Not to mention how easy they were to put on – Dr. Lowrey was nice enough to let us video her with Frosty in the stall putting on the Equiflexsleeves to show how fast and easy they are to use. At just under 30 seconds a leg, that means you can have your horse done up after his classes in less than 5 minutes – much faster and easier with better, consistent support than any standing wrap can offer! You can notice in the video the dots on Frosty’s hind legs – that’s from freeze firing, a common practice on the track with race horses (both standardbred and thoroughbred) and after retirement it’s not uncommon to see horses with these marks on their legs prone to stocking up due to poor circulation. We were thrilled to hear that Frosty’s legs were tight and comfortable following his long weekend thanks to help from Equiflexsleeves! I was lucky enough to take Frosty for a spin in some of the games classes, while sporting my Equiflexsleeve polo. It was a great experience to show just how versatile this breed can be! Photo compliments of Vicki Wright. Thanks Dr. Jenn for sharing your story and photos of Striking Mystery with us, and we wish you the best of luck on the track and in the show ring as Frosty gets ready for his next under saddle race next week! Striking Mystery and Equiflexsleeve Sponsored Rider Dr. Jenn Lowrey sporting Equiflexsleeves in their racing stable colors. 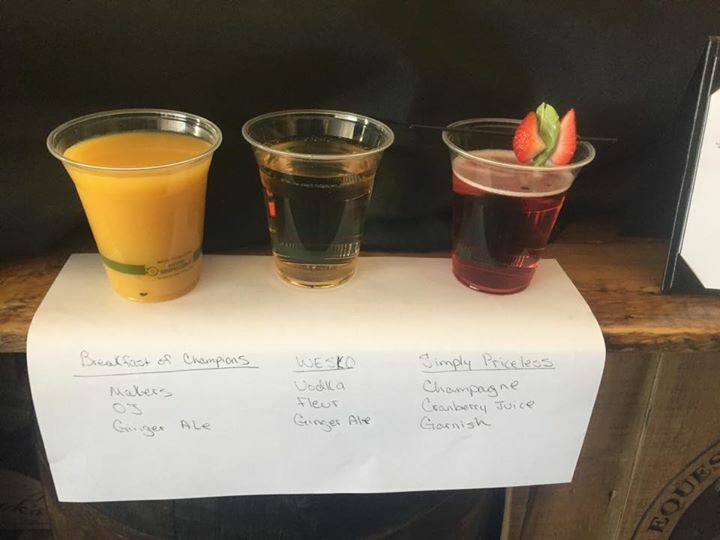 In Case You Missed It – Selfie Toast and Buy Direct! It has been a BUSY few weeks for us! Rolex was a dream – more on that in a minute. 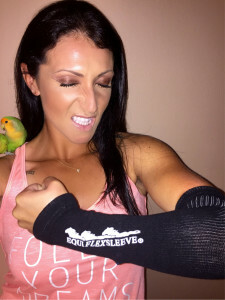 First, we’d like to proudly announce that the Equiflexsleeve online store is OPEN FOR BUSINESS! Now you can buy the horse leg support products you know and love directly from us. Check it out and be sure to order your Equiflexsleeves today! Now, onto our Rolex Recap. If you were watching Eventing Nation for news and results, you probably saw something about a selfie toaster and eventing superstar/social media queen, Lainey Ashker. 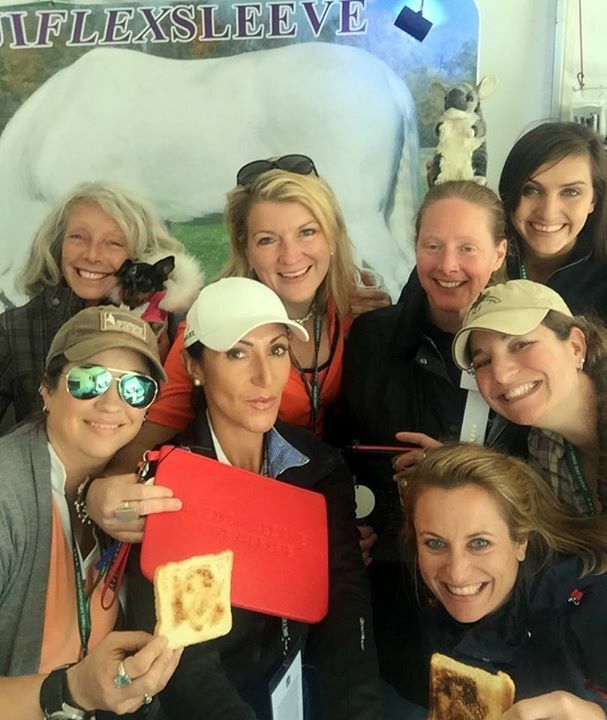 What a great #selfie with Eventing Nation! Even the Chincilla made it! Maybe you were in Lexington and saw fans walking around in these t-shirts that said… wait, what? They got #toastedwithlainey at Rolex? Thanks to everyone who came out to support us at our first rolex – we were “sponsor rookies” and we had an amazing time. We were joined by another Rolex Rookie – the “real” kind – in our sponsored rider Elisa Wallace of Wallace Eventing. We knew it would be a special Rolex when we checked in at the bar and saw that Elisa’s horse had a drink named after him. That’s how you know you’ve made it! I’ll take two! Go, Simply Priceless! Elisa and Johnny had a fantastic Rolex, too, placing 17th, as the highest ranked rookies this year. A top 20 finish at Rolex is a great accomplishment for even the most seasoned Rolex veteran, and we are so proud to see Elisa and Johnny start their Rolex careers on top! Everyone in the eventing crowd will be paying close attention to the rising pair, and you can join in on the fun by watching Elisa’s cross country run via helmet cam. Overall, Rolex was a great time for us and for our riders and fans. Stay tuned for the next big update from Equiflexsleeve, and in the meantime, keep on shopping, and keep on riding! 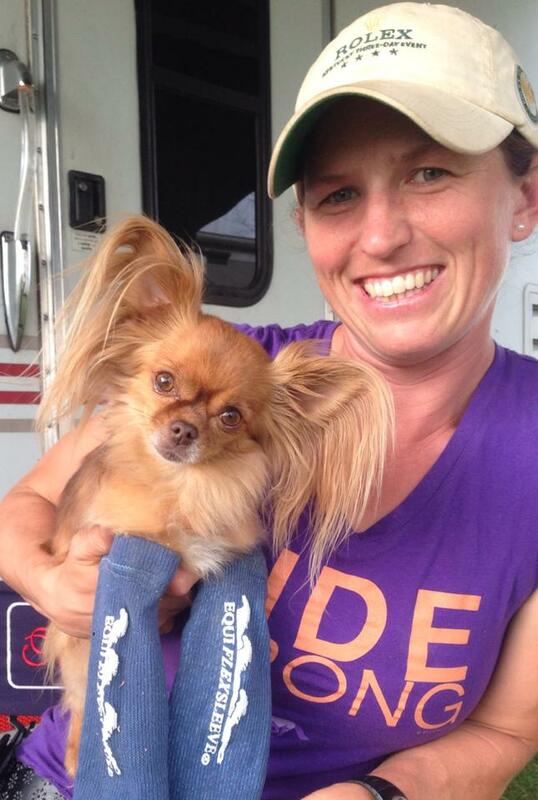 Elisa’s dog “Pocket” is a fan of Equiflexsleeve, too! April 12, 2015, Chagrin Falls, Ohio, USA — The revolutionary product that is replacing the need for traditional standing wraps in the equine world, Equiflexsleeve, today announced that Elisa Wallace is the newest rider to join team of Equiflexsleeve sponsored riders. Elisa Wallace comes from a long history of horsemen; her father is both a trainer and event rider while her mother has bred and raised young horses for many years. Elisa has followed in her family’s footsteps and blazed a trail in the eventing world. By age 9, she broke records as the youngest eventer to win a gold medal at the Georgia State Games in Combined Training. 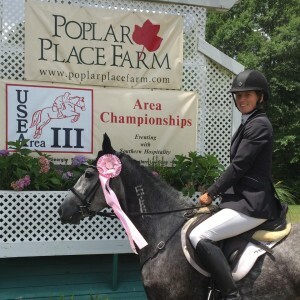 Since then, Elisa has earned a number of accolades, most recently winning fifth place with her Mustang mare, Hwin, at the 2015 Poplar Place March Horse Trials Novice level. “It’s amazing to be a part of the Equiflexsleeve team. The engineering behind the compression socks are great for the horses. The sleeves give you peace of mind because grooms can put them on and the instructions are so simple – no worries about bandage bows!” Elisa says when asked what it means to be joining the Equiflexsleeve team of sponsored riders. Equiflexsleeves are safe and easy to use, and an advantageous time-saver for eventers during busy competitions. In addition to competition horses, Equiflexsleeve helps pleasure horses, older equines, and those recovering from injury. Aiding in the reduction of joint, tendon, and ligament swelling as well as issues such as wind puffs, Equiflexsleeves offer vital support and comfort for a horse’s legs. Equiflexsleeve takes the place of traditional standing wraps and can be worn for longer periods of time than traditional wraps. Unlike traditional wraps, the sleeve allows heat to dissipate, does not immobilize the joints, and remains in position as swelling decreases. Available in 7 different sizes fitting both front and hind legs, riders can choose between 8 eye-catching colors. See Equiflexsleeve.com for more information on Equiflexsleeve products and endorsements. Created in early 2009 by Mary Leibold, Equiflexsleeve takes the place of traditional standing wraps and can be worn for longer periods of time than traditional wraps. Unlike traditional wraps, the sleeve allows heat to dissipate, does not immobilize the joints and remains in position as swelling decreases. A proprietary blend of multi-tensioned fibers infused with antimicrobial technology, the Equiflexsleeve acts as a compression sleeve/therapeutic joint support for horses. Made in the USA, Equiflexsleeves are available at selected retailers in the United States, Canada, and Europe. Starting with style is of course, Laine! In the Sundays to come, look for more #selfiesunday blog posts from all of us here on the Equiflexsleeve team. Want to be featured on our blog? Share your Equiflexsleeve selfie on social media, be sure to tag Equiflexsleeve, and use tag #selfiesunday and you just may find yourself in one of our upcoming blog posts. And of course be sure to tag Laine as well to show her how much we all love her style! And as we cheer Laine and her OTTB Anthony Patch, known as Al, on the road to Rolex, be sure to follow our blog and social media so that you don’t miss out on some of the great offers and giveaways we have coming up, including your chance to meet Laine at the Equiflexsleeve booth at Rolex. We don’t know how to put this, but we’re kind of a big deal (and so is Laine and Al!). Especially when it comes to Rolex! How big of a deal? Well, you’ll just have to follow us and see. It’s Friday and for our #fridayfunfacts we’re sharing some information about event rider Laine Ashker’s OTTB Anthony Patch, more commonly knows as Al, and often followed by friends and fans as #goAlgo across social media. While he competes under the name Anthony Patch and is known around the barn and by fans as Al, we bet you didn’t know that Al was actually a racehorse – complete with the racing name and several starts under his belt as well. Here’s some fun facts to kick off your weekend about this great horse! Al was foaled on May 19, 1999 and registered with the Jockey Club as Alex’s Castledream. His first start was in 2002, as a 3 year old. Throughout his 3 year old year, he raced 8 times and only won a measly $635. His 4 year old year wasn’t any better, with just 2 starts and $180 in winnings. Al was born and bred in New Jersey and raced at Monmouth Park in his first two races before moving to Charles Town Race Track in West Virginia. His trainer was a woman – Patricia Fredo – so we think it’s only fitting that in his current career, he’s surrounded by a lot of great women including rider Laine and her mother, Valerie who’s also very involved with horses. Al never broke his maiden (meaning he never won a race). Even worse than that (for a race horse), he never broke the top 3 for a place or show finish either! It’s okay Al, we think you’re a much better eventer than racehorse anyway! And our favorite piece of trivia about Anthony Patch and Laine Ashker is that at the 2014 Thoroughbred Makeover, they did both a dressage and jumping demonstration on the racetrack at Pimlico Race Course, home of the Preakness Stakes which is the 2nd of the three famous Triple Crown Races. We sure think Al gets the award for the best looking photo finish in Pimlico history – far better than any Triple Crown win, wouldn’t you agree? 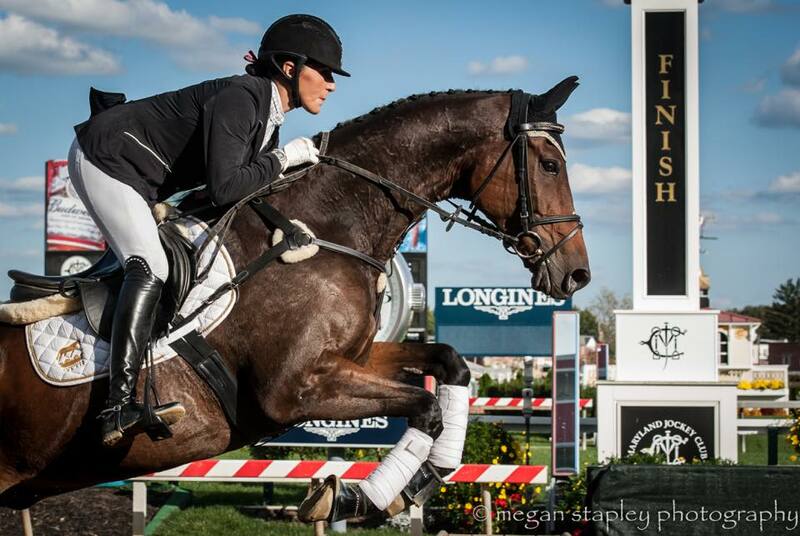 We’re huge fans of Laine and Al, and can’t wait to see them at Rolex this year. Stay tuned for more great news and announcements from Equiflexsleeve as we ramp up of Rolex and cheer on our favorite competitors! Providing support and compression for equine athlete’s legs has never been so easy! May 26, 2015, Chagrin Falls, Ohio, USA — Equiflexsleeve, the revolutionary product that replaces the need for traditional standing wraps, today made the exciting announcement that Laine Ashker is joining the ranks of Equiflexsleeve sponsored riders. With a long and successful eventing career under her belt, Laine Ashker has previously represented the United States in the Junior Olympics, and is a seasoned four star level competitor. Together with her 16 year old off the track Thoroughbred Anthony Patch, affectionately known as Al, Laine has competed at Rolex CCI**** four times. Most recently, the pair brought home the title of national Advanced Champions at the AECs in 2013, and reserve Advanced national champions in 2012 and 2014. 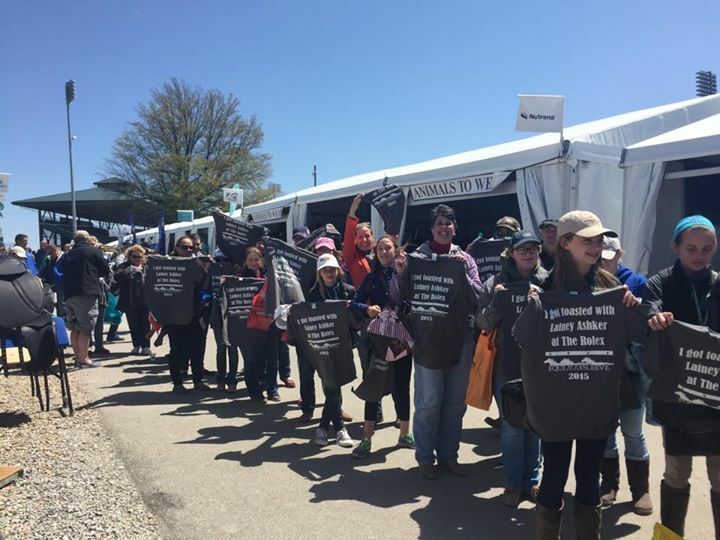 With their sights set on this year’s Rolex Kentucky Three Day Event, Equiflexsleeve will provide vital support for Al’s legs in between events. Equiflexsleeves are safe and easy to use, and an advantageous time-saver for eventers during busy competitions. 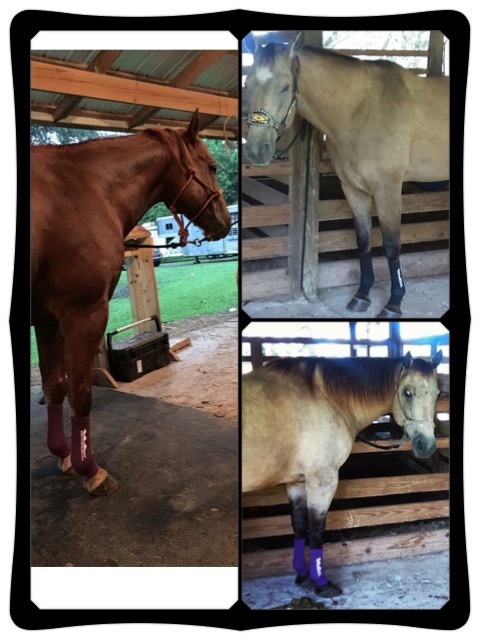 In addition to competition horses, Equiflexsleeve helps pleasure horses, older equines, and those recovering from injury and can take the place of traditional standing wraps. Aiding in the reduction of joint, tendon, and ligament swelling as well as issues such as wind puffs, Equiflexsleeves are capable of providing vital support and comfort for a horse’s legs. Top Christmas Movies featuring Animals!